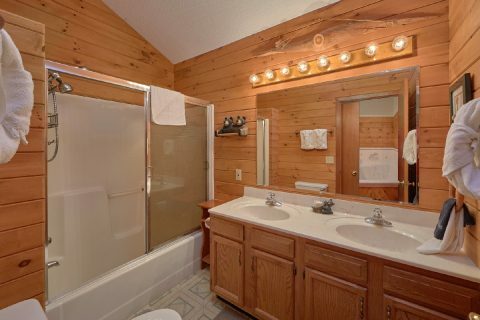 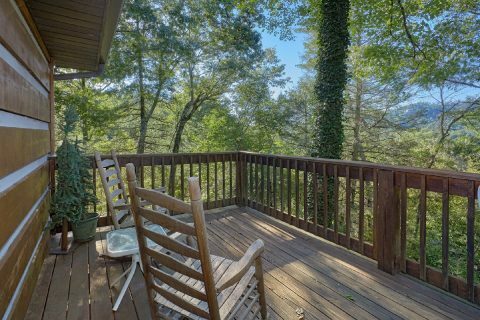 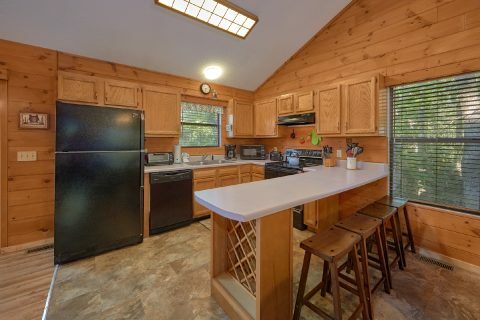 "Blessed Memories," a semi-secluded Pigeon Forge cabin near Dollywood, allows vacationers to enjoy relaxation and seclusion in the scenic Tennessee Smoky Mountains while remaining just minutes from attractions, dinner shows, outlet stores, and more along the action packed Pigeon Forge Parkway! 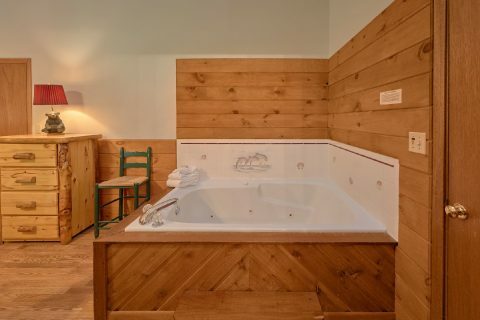 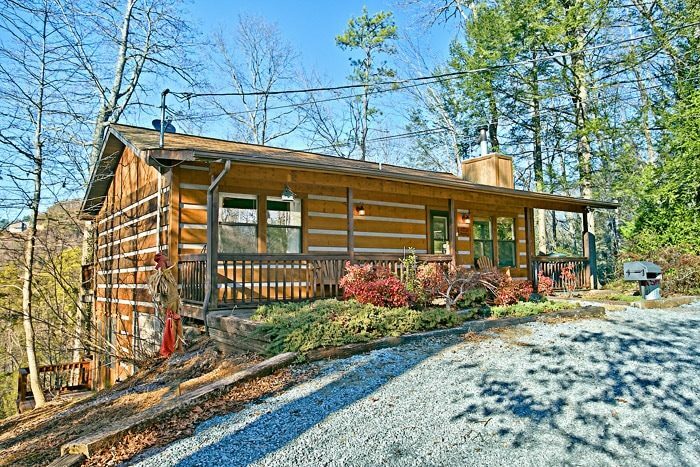 This 2-bedroom Smoky Mountain cabin with sauna provides you and your guests with several amenities to enjoy on your Smoky Mountain vacation. 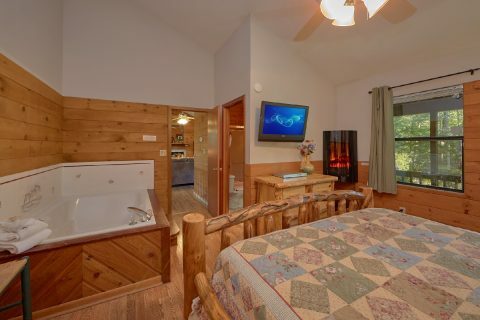 Relax in the year-round hot tub while taking in the mountain air. 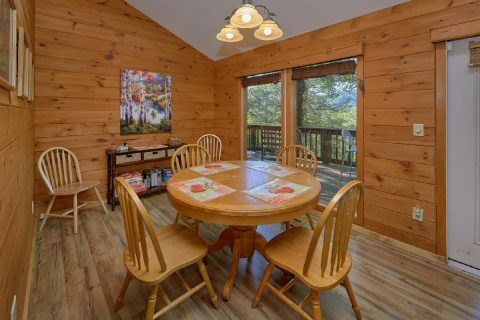 Keep in touch with friends and family with your semi-secluded Pigeon Forge cabin's WiFi Internet. 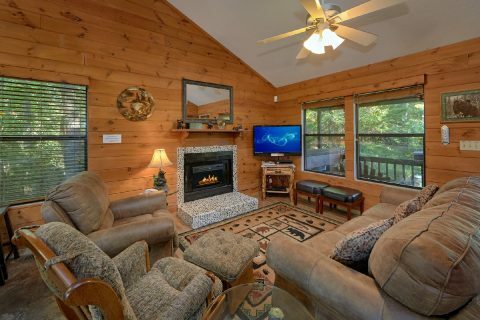 Gather around the cozy living area's stone electric fireplace for some family time. 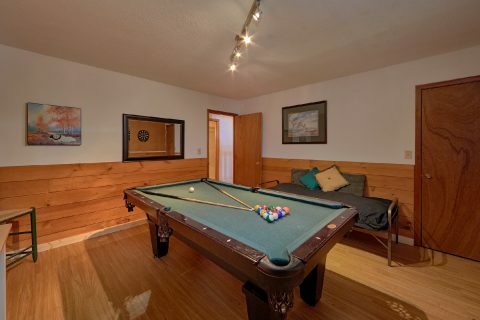 Enjoy meals cooked in the fully equipped kitchen and eat at the dining room table that doubles as a bumper pool and card table. 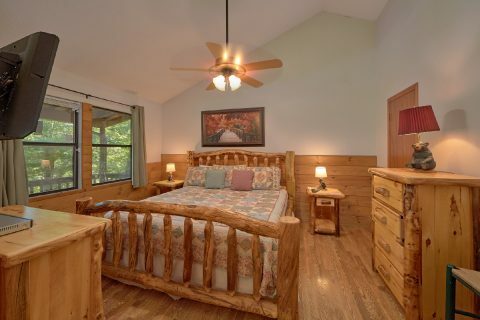 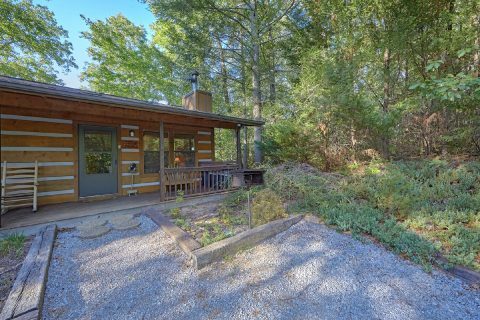 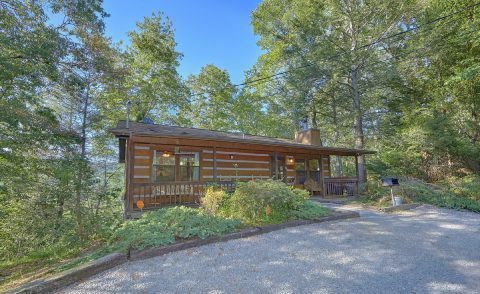 Nestled on a tranquil wooded lot, this semi-secluded Pigeon Forge cabin near Dollywood boasts a spacious master suite with a king-size bed, in-room jacuzzi, flat screen television, and private bath. 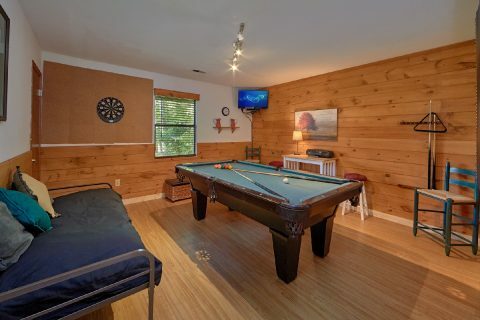 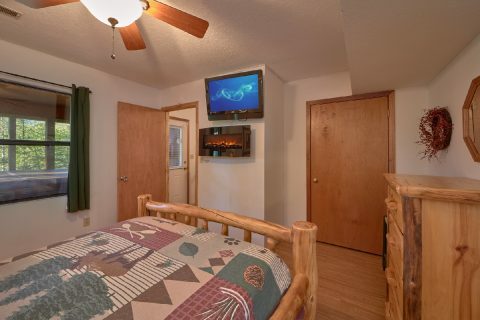 The cabin's lower level contains the second bedroom with queen-size log bed, and television as well as a game room with pool table, dartboard, and television. 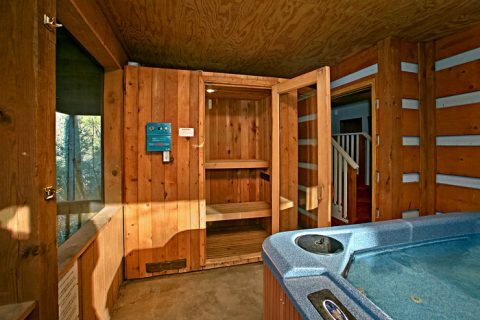 Evenings are a great time to relax back at your Smoky Mountain cabin with sauna and hot tub, both enclosed in a screened in porch. 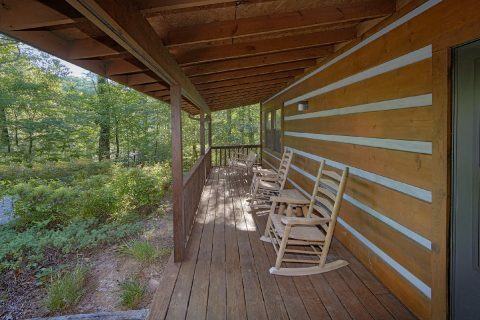 The cabin's other porches and decks offer plenty of seating with rocking chairs and a porch swing. 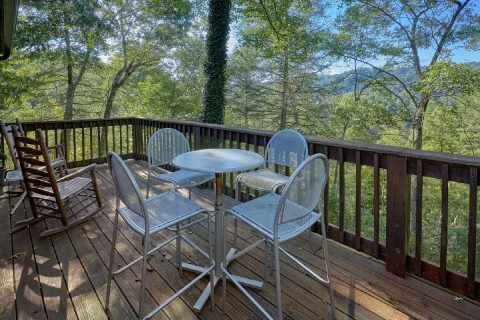 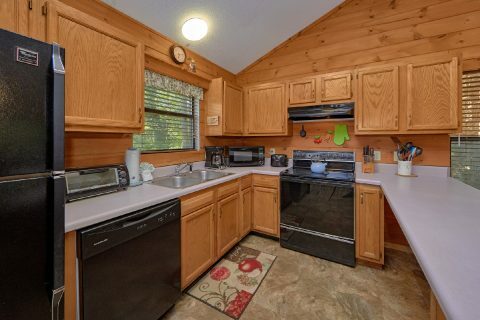 Ready for a private family picnic at your cabin in the Smokies? 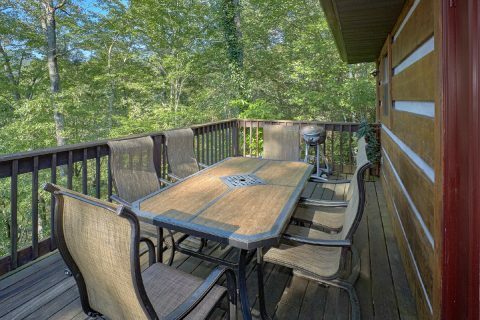 Fire up the charcoal grill and gather around the outdoor dining set for a memorable family cookout! 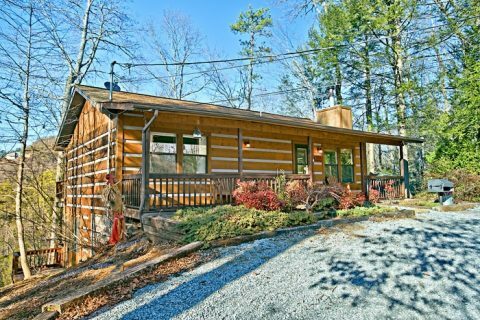 Book your semi-secluded cabin in Pigeon Forge near Dollywood to turn your ordinary vacation into an extraordinary cabin vacation! 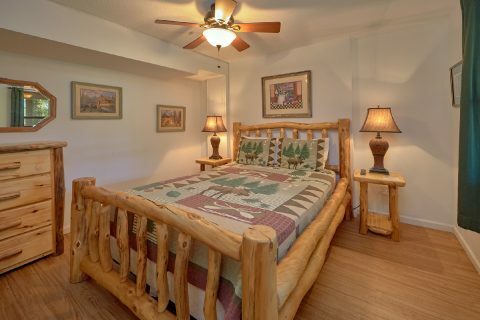 Remember, when you book "Blessed Memories" or any of our other affordable Pigeon Forge cabin rentals online you get an immediate Online Cabin Discount!